"The magnitude-7.5 earthquake that hit remote areas of Afghanistan and Pakistan caused destruction and damage over a wide area. At least 275 people are known to have died. Twelve of the dead are schoolgirls, killed in a crush as they tried to evacuate their school. The epicentre was around 80km southeast of Feyzabad, although tremors were felt as far away as Delhi." 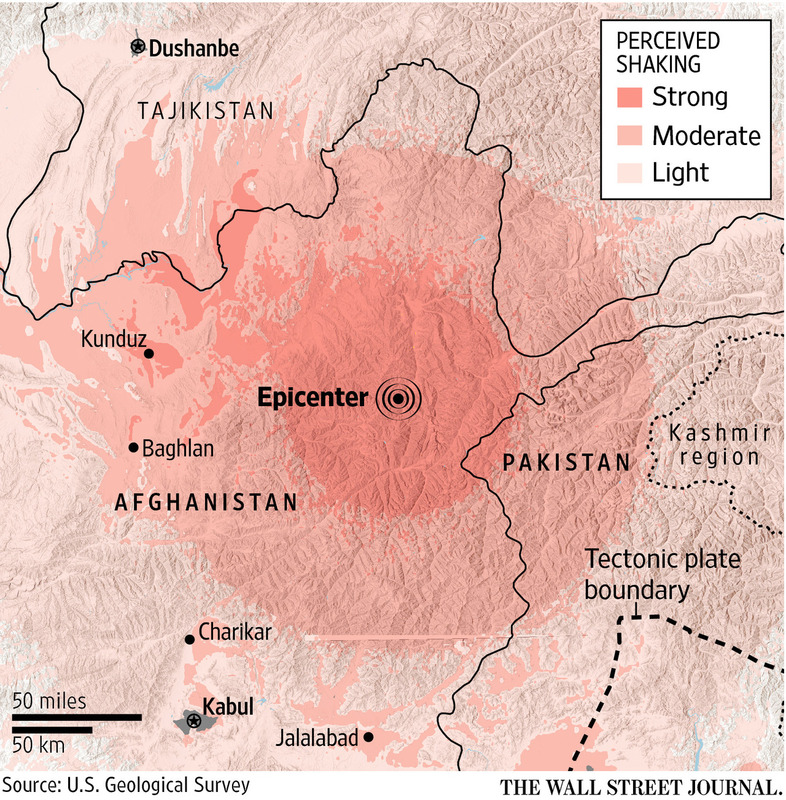 "More than 260 people have died, mostly in Pakistan, after a magnitude-7.5 earthquake hit north-eastern Afghanistan." "A major earthquake struck South Asia Monday. 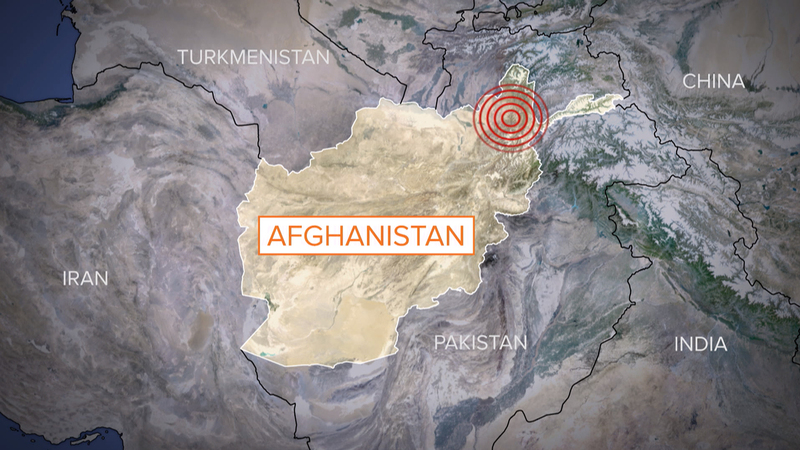 Early reports say the earthquake killed more than 150 people in Afghanistan and Pakistan. Hundreds more were reported injured. A VOA reporter tweeted from Kabul that “conservative estimates” are 154 dead and 1,191 injured."